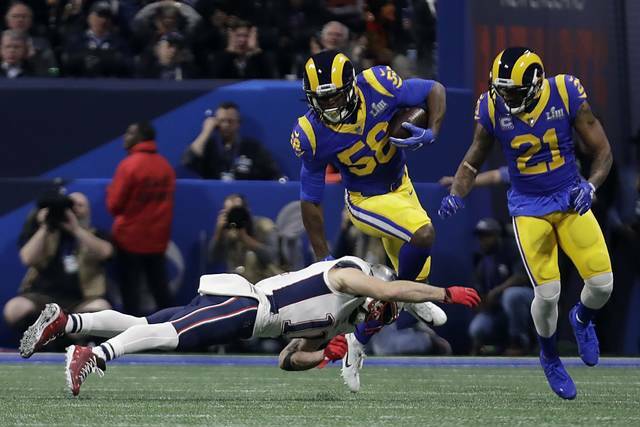 ATLANTA (AP) — After keeping Tom Brady out of the end zone for three and a half quarters, the Los Angeles Rams’ defense finally blinked. In this Super Bowl, that one brief lapse was too much to overcome. Even holding the New England Patriots to one field goal until midway through the fourth quarter wasn’t good enough. For the sixth time in his career, Brady found a way to win the Super Bowl. The Rams defense had done enough to win most games, but the Los Angeles offense didn’t do its part. Littleton helped set the tone for the Rams’ strong defensive game with his first-quarter interception after Brady’s first pass was deflected. 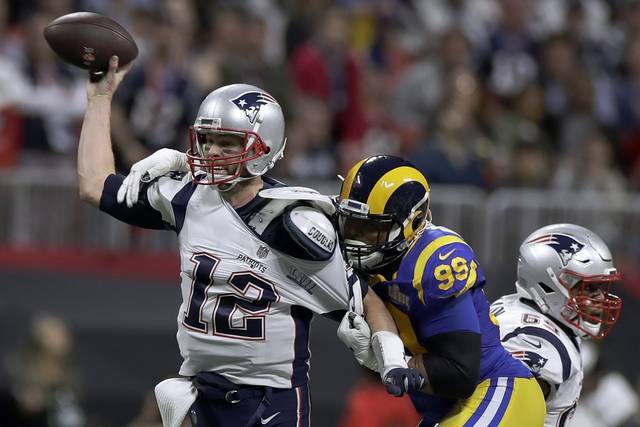 After being contained most of the game, Brady struck quickly when he suddenly solved the Rams’ defense in the decisive fourth-quarter touchdown drive. Brady completed four straight passes, including 18- and 29-yard strikes to Rob Gronkowski. The last catch set up Sony Michel’s 2-yard scoring run. The game’s only touchdown left the Rams with a deficit they wouldn’t overcome. 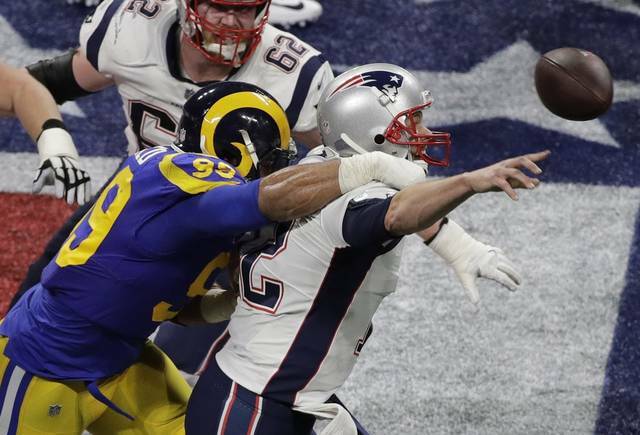 Rams defensive tackle Aaron Donald was frustrated by Brady’s crucial 29-yard pass to Gronkowski.